Live / Ajax product price change possible? My question is I would like to show products in a table on on page and the prices of the products should change in front end based on changes at the back end. This front end view should be without page refresh and show show +- of the original price, just like stock market. Is it possible using this plugin? Thank you very much for your post and question. I am sorry, but I have no idea what you mean here, even though I know what stock market is. Do you have any pictures or links to similar features in other software products? For example, just how how the stock market work. A stock with current stock price, previous price and new price. I want to make the similar feature for products. I want to show varoiua brands of beer as products on a page and display it just as stock market so people sitting at the table can view the price fluctuation and order their beer accordingly. Sounds interesting, if you find some screenshots, would be great. Hi there, here is the screenshot to help you better. 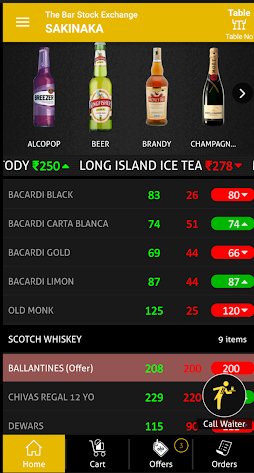 A page where beer products with variable prices displayed. This is a very specific job and I am afraid not something we want to do.